Bestselling author Yvonne Lehman celebrates love in this heartwarming romance of hope and redemption. Three people are busy with Christmas preparations—until a car crash brings them together and changes their lives forever. Jacob Delaney finds solace jogging around curves and along nature trails in the western North Carolina mountains until he’s stuck … with no place to run. Jenny Jameson, unwilling to participate in a Christmas Wish Toy Drive, finds her resolve crumbling when she fears a hungry child will go without Christmas. For Holly Swansen, surviving a near-fatal accident is the least of her concerns. Her life is blanketed by the darkness of scandal that takes from her any hope of a Merry Christmas. 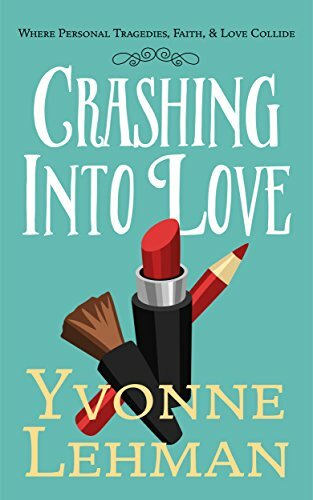 This is the Kindle version of Crashing Into Love – Where Personal Tragedies, Faith, & Love Collide that you can also download and read on your computer and mobile phone. Kindle books are DRM protected and therefore, unlike ebooks that are in PDF or ePUB format, you cannot read this ebook without the official Kindle apps.